Economists warn of the rising risks to global GDP growth, saying some of the largest central banks will likely not be able to prevent a new recession after using up the potential of their policy tools over the past decade. Kristian Rouz — Economists and policy analysts are sounding the alarm over the slowing economic growth worldwide, saying some central banks are lacking the firepower to tackle a possible downturn. According to a Reuters poll of more than 100 economists, central banks don't appear to have a solution to emerging economic challenges after a decade of ultra-low interest rates and stimulus programmes. Central bank interest rates remain very low worldwide, while bond-buying programmes and other accommodative policies are no longer supportive of economic growth. Meanwhile, the International Monetary Fund (IMF) has cut its global GDP growth outlook for the third time since October this month. Officials say the moderating consumer demand, along with high indebtedness among households, private-sector companies, and national governments pose a threat of a new recession — fuelled by the fears of disruptions in global trade. In this light, several major central banks will likely be unable to prevent or reverse the looming recession by cutting rates and boosting money injections — as the stimulative potential of such policy tools has been used up over the past decade with little, if anything, to show. "The world economy is not falling off a cliff, which had seemed a plausible, if relatively small, risk as recently as a month or so ago. This is clearly good news", Neil Shearing of Capital Economics said. "But we remain in the late stages of this global economic expansion… in the case of the world economy at least, we expect growth to remain subdued". In the Eurozone, economic growth has slowed to below 1 percent this year, and risks posed by Brexit and trade disputes with the US have forced the European Central Bank (ECB) to abandon its plans to raise interest rates. The ECB has kept its borrowing costs at near-zero since the global financial crisis of 2009. The policy stood through the European debt crisis of the early 2010s, as well as the fiscal turmoil in Greece in 2015, the Italian banking panic of 2017, and more recently, the volatile Brexit process. However, over the past decade, the single-currency area has shown sustainable GDP expansion driven by Germany's exports — but this source of growth appears to be wearing out. "The risks surrounding the euro area growth outlook remain tilted to the downside, on account of the persistence of uncertainties related to geopolitical factors, the threat of protectionism and vulnerabilities in emerging markets", ECB chief Mario Draghi said. At the same time, Mainland China is facing further economic slowdown amid trade tensions with the US, while Japan is struggling to support domestic inflation and consumer demand despite the ultra-accommodative monetary policies. The UK, Russia, and the US have posted moderate expansion over the past year despite the mounting economic gloom, but those economies are facing downside factors as well. Amid the heightened speculation of a global recession, the US Federal Reserve took a more dovish stance on policy, saying it would likely abstain from raising rates this year. However, the Fed has the room to cut rates in case of a downturn, as after its modest tightening cycle of 2015-2018, US base borrowing costs stand at 2.5 percent. While the same applies to the Bank of England (BOE) and the Russian central bank as another example, other major regulators — such as the ECB and the Bank of Japan (BOJ) would have to go deeper into the negative rates territory, which is seen as quite a risky strategy. 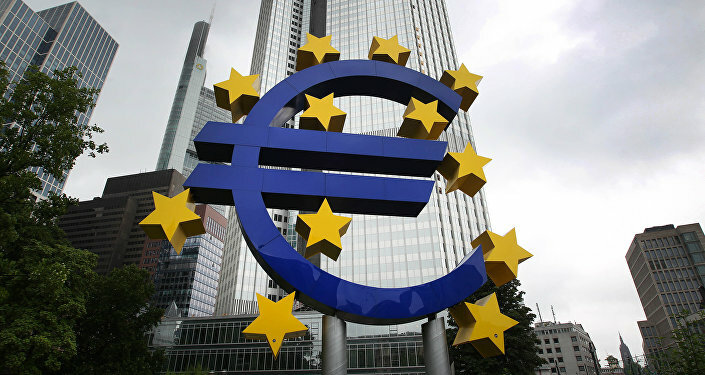 "Market pricing is expressing more anxiety that the ECB is either too slow to use whatever is left in its policy toolbox or — worse — that it thinks the tools won't do much anyway", Laurence Mutkin of the French bank BNP Paribas said. For his part, BOJ Governor Haruhiko Kuroda has admitted his stimulus programme — which combines negative rates (at —0.1 percent) with multi-trillion yen purchases of corporate and governmental bonds — isn't working as planned. Japan's inflation still remains far below the 2 percent target, and so does the GDP growth. Kuroda said the challenges holding back Japan's economic expansion appear to be deeper-rooted than he had previously been thought. "This is a delicate moment for the global economy", Gita Gopinath of the IMF said. Amid these developments, G20 finance ministers said in a statement on Friday that the world's largest economies should strike a trade armistice to prevent a new global recession. They said multilateral cooperation and appropriate policies — not limited to central bank stimuli alone — could help improve the global economic outlook.